Filed March 17, 2015, Senate Bill 320 (linked) proposes significant revisions to State laws governing billboards and outdoor advertising. In this post, we review some of the changes that would result from Senate Bill 320 in its current form. Local governments, lessors to billboard companies and billboard companies, alike, will want to take notice. SB 320 would add new, strong policy language to existing N.C.G.S. 136-127, which sets the tone of the proposed changes in SB 320. SB 320 declares outdoor advertising and billboards “an integral part” of commerce “that must be allowed to exist and operate”, and requires the “preservation” and “fostering” of outdoor advertising and billboards. You can see where these proposed changes are headed. SB 320 would add N.C.G.S. 136-131.2(c) and (d). Pursuant to these new provisions, neither the NCDOT nor a local government could deny the ability of an existing billboard to relocate to a more visible area in the same municipality or county, even if the proposed relocation area has significant tree cover. The bill prohibits local governments from regulating the maintenance, alteration, relocation or reconstruction of an existing billboard, even if the billboard is a nonconformity, without payment of just compensation. The “maintenance, alteration, relocation or reconstruction” provision allows existing billboards to add a sign face if single sided, add a “changeable” face, increase height to eighty (80) feet, convert from wooden poles to metal poles, and convert from bipole to monopole. New requirements and criteria would be added to existing N.C.G.S. 136-131, which would be used to determine the amount of just compensation for the removal of a billboard. Payment must be made not just for the value of the real property, which is the current law: “[Compensation] [s]hall be limited to the fair market value at the time of the taking of the outdoor advertising owner’s interest in the real property on which the outdoor advertising is located and such value shall include the value of the outdoor advertising.” Under this proposed law, compensation would extend to other factors including, but not limited to, “income generated by the rental of advertising space”, the value of the billboard permit, and the “ability to relocate” the billboard or outdoor advertising sign. SB 320 excludes “embellishments or extended advertising” from the definition of “sign face”, which will allow larger signs than is currently permitted under State law. A unique concern to billboard and outdoor advertising companies, vegetation removal regulations also get an overhaul under the proposed bill. SB 320 expands the area that may be cleared for increased sign visibility from the area only including “along acceleration or deceleration ramps” (current N.C.G.S. 136-133.1(a1)) to the significantly more broad reach of “within gores, medians, or other areas of the primary highway system”(new N.C.G.S. 136-133.1(a1)). New billboard owners would no longer have to wait two (2) years for a vegetation clearing permit, which is the current system. Under the proposed paradigm and new N.C.G.S. 136-133.2(b), owners “may” be issued a permit immediately. In addition, selective vegetation removal permits would be good for three (3) years under the proposed law, increasing from the one (1) year window currently in place under N.C.G.S. 136-133.4(b). SB 320 would add N.C.G.S. 136-133.5(h). 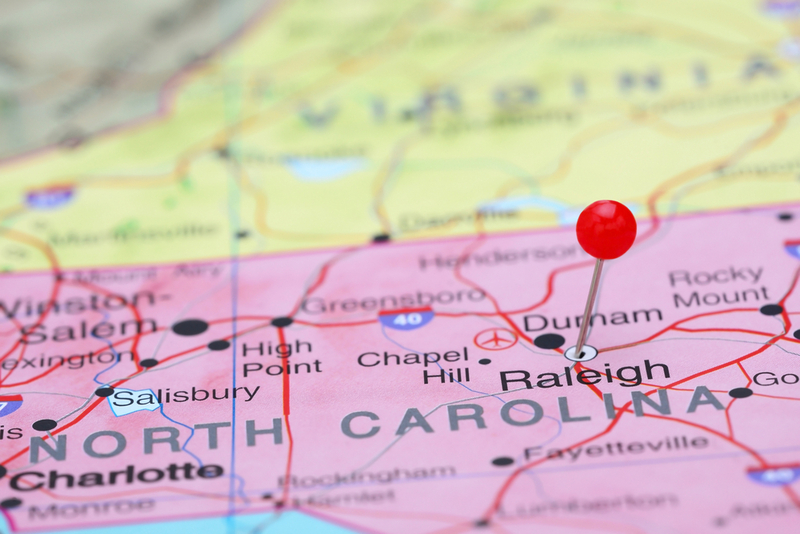 NCDOT would be required to decide all new billboard permit applications within thirty (30) days, or the permit application is automatically approved. We will follow this SB 320 to see if it becomes law.